The EPC has been available since 18 January 2016 for five professions, general care nurses, physiotherapists, pharmacists, real estate agents and mountain guides. It is an electronic certificate issued via the Internal Market Information (IMI) system for the recognition of professional qualifications. Following an introduction and welcome from CEPI Director General Guy Valkenborg, Alma Basokaite, Legal and Policy Officer in the Professional Skills and Qualifications Unit of DG GROW and Zoltan Magyar Team Leader in the Single Market Centre, assisted by Paulina Matczak Legal Assistant, also of the Professional Skills and Qualifications unit of DG GROW gave an interesting presentation on the EPC, the legal background, professions covered and EPC requirements. It was emphasized that competent national authorities have now been established in all countries, including those that do not regulate the profession. The differences between the EPC procedure and traditional applications for recognition of qualifications were explained. Importantly the EPC procedure reduces the number of translations and certified copies required, as compared to the traditional recognition procedure. A demonstration was given of the system to deal with applications, from the creation of an account to the issuing of an EPC that can be downloaded in the form of an electronic certificate. 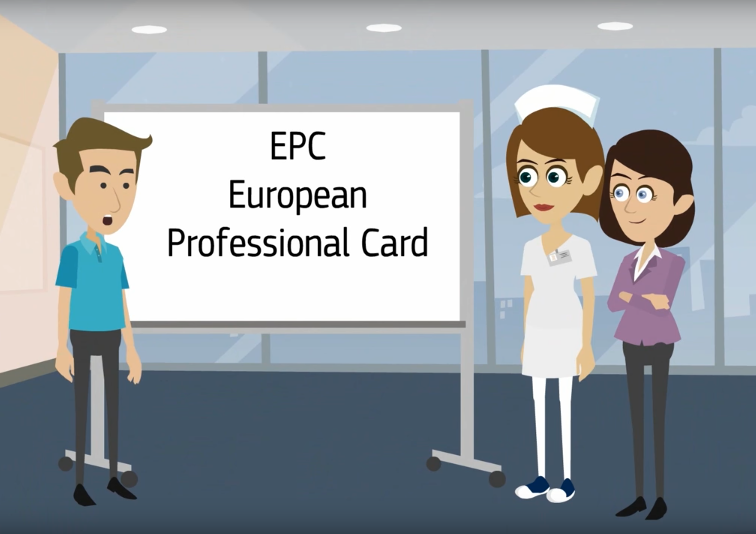 Further information about the EPC is available at https://ec.europa.eu/growth/content/new-european-professional-card-helps-professionals-work-throughout-eu-0_en .